Tomorrow I’ll hit the gym, start painting, start writing, start my journey, tell my story. Tomorrow is a promise, it’s a dream, tomorrow isn’t tangible, it’s just a thought — a mere wish. Today is in the moment, it’s the time to strike, it is our opportunity to grow and physically change our predicament. 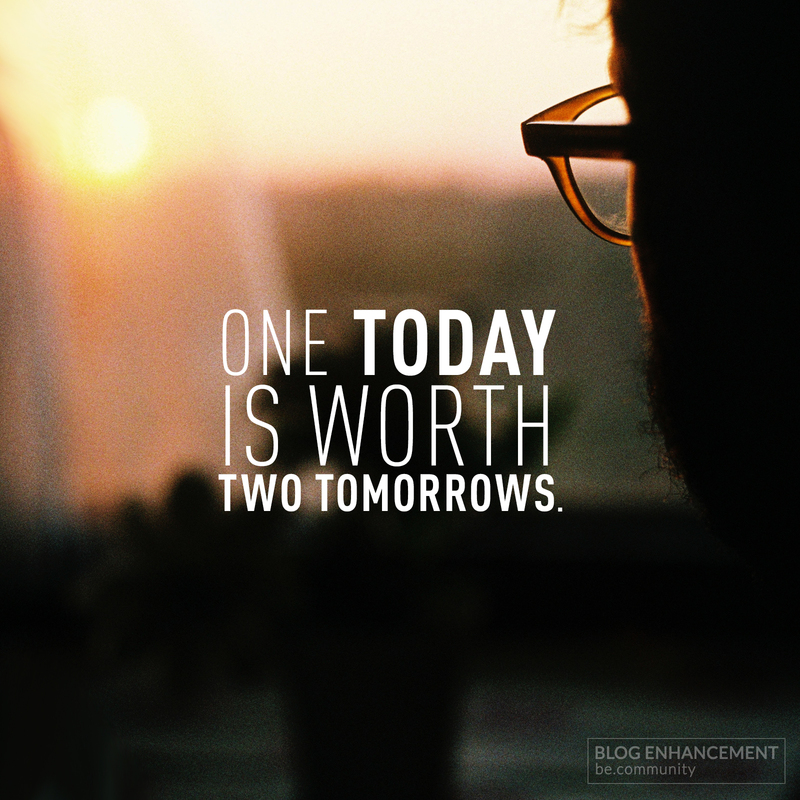 Today lays the foundation for tomorrow. Did you enjoy this? Get updates on the go!